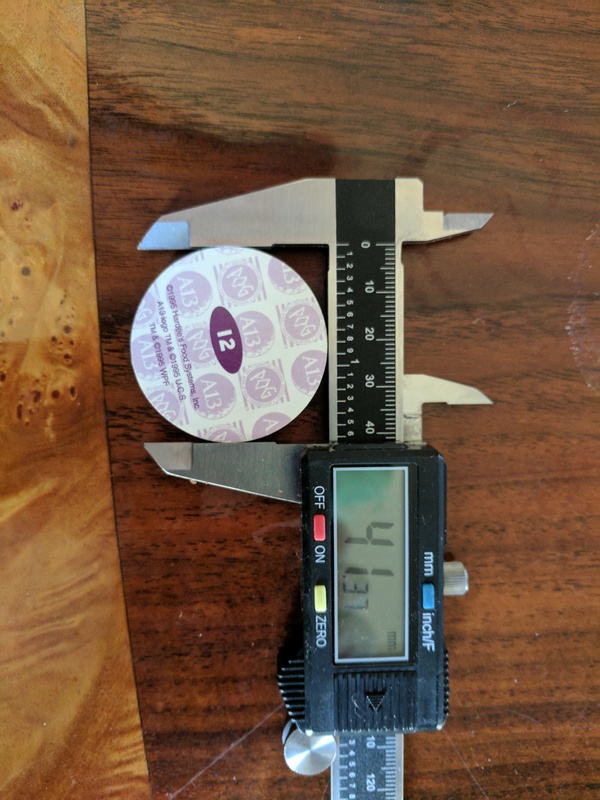 41.37 mm or 1.6285 inches in diameter. 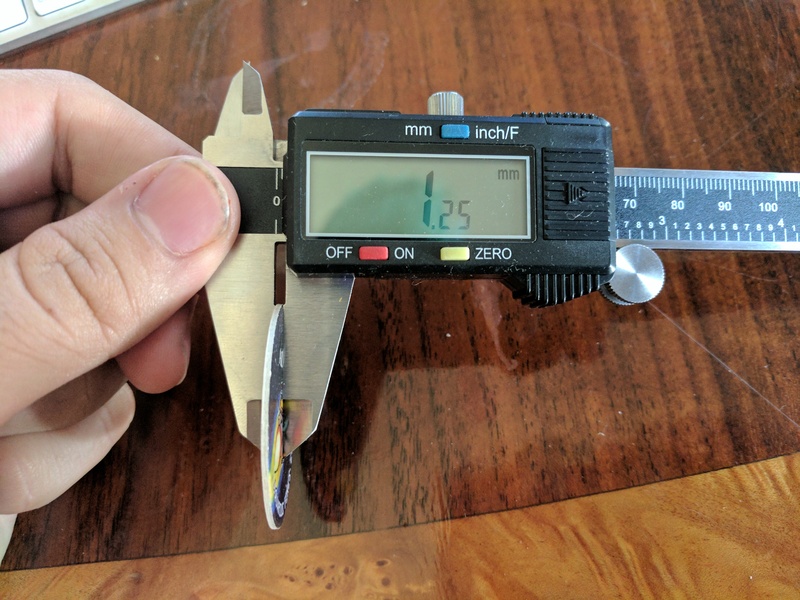 1.25 mm or 0.0490 inches in thickness. 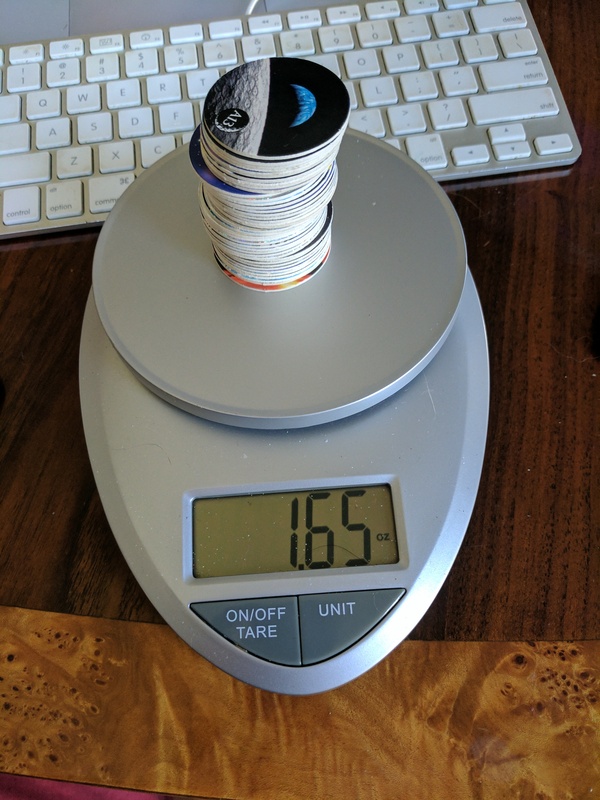 Forty POGs weigh 1.65 oz or ~0.041 oz per POG. 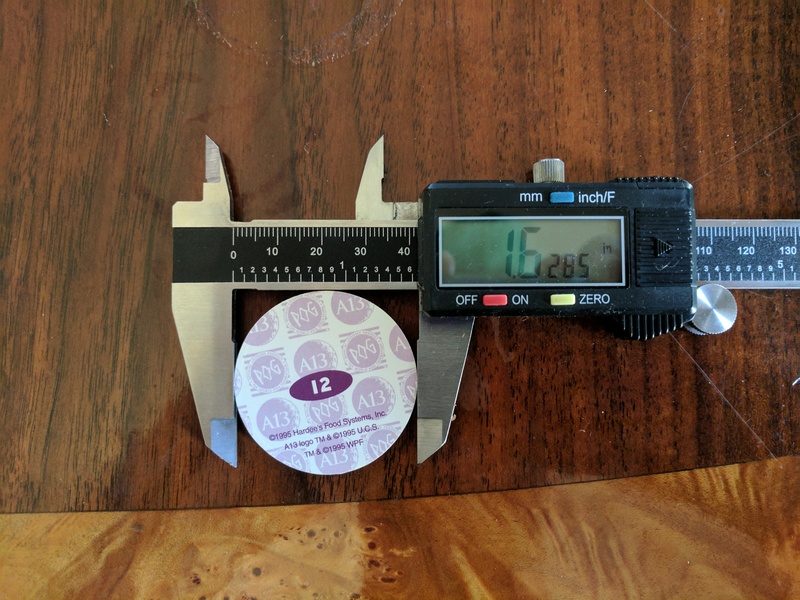 42.80 mm or 1.6850 inches in diameter. 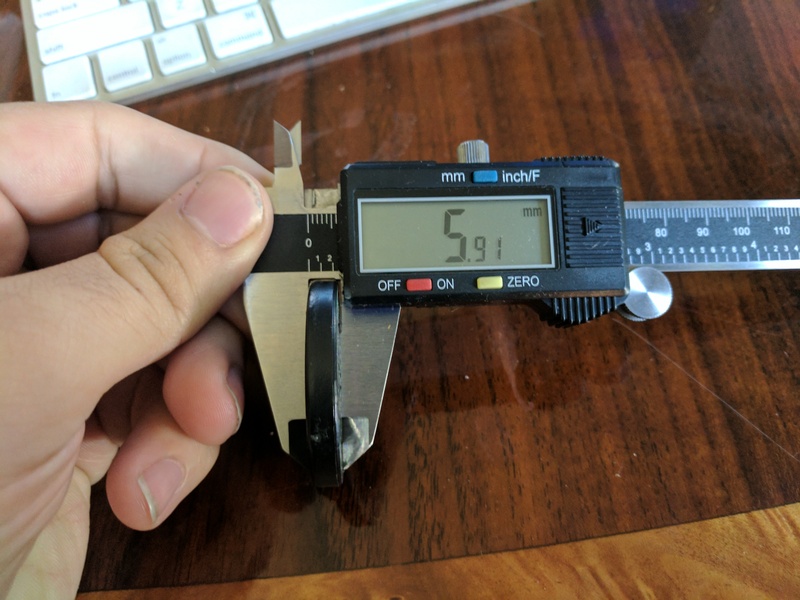 5.91 mm or 0.235 inches in thickness. 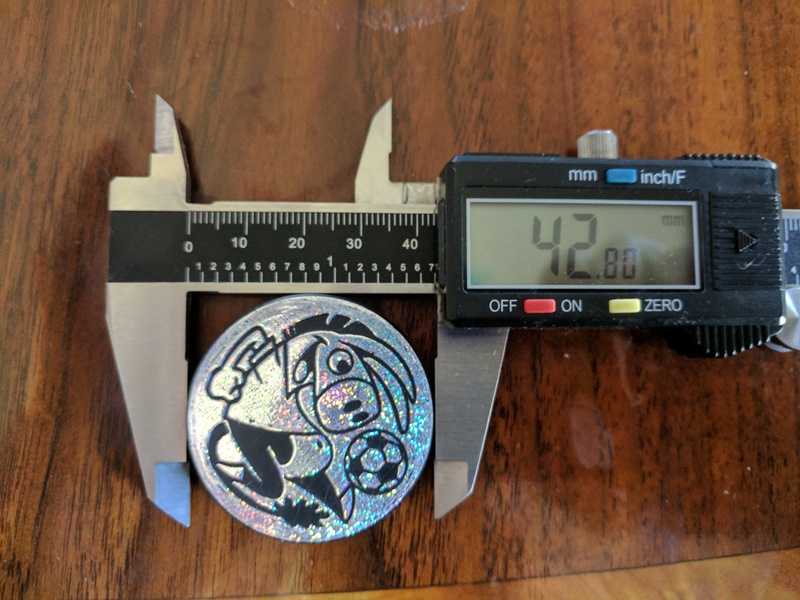 So, a Slammer is approximately 4-5 POGs in thickness, about 1.5mm larger in diameter, and weighs approximately 7-8 times as much as an individual POG. Nice! 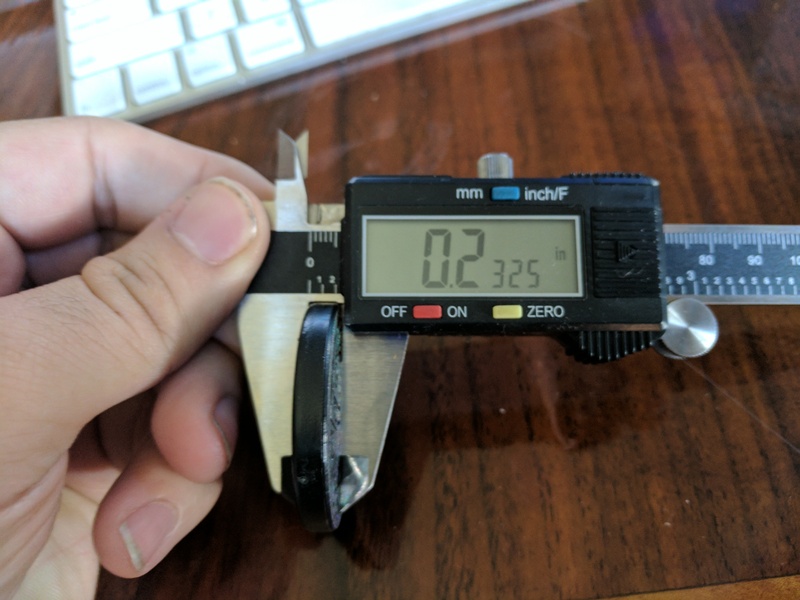 I was thinking of cutting out some 1/4″ Stainless Steel Slammers with my laser cutter. 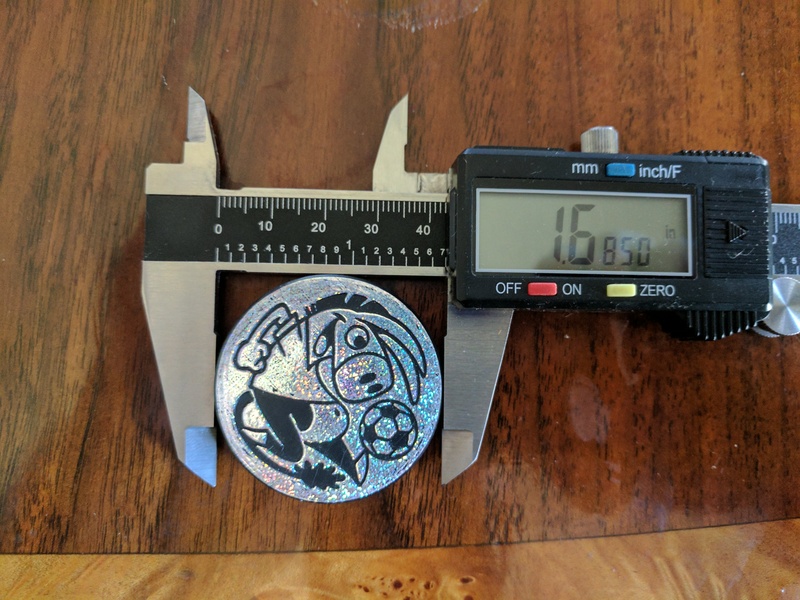 5 pogs thick is about 1/4″. 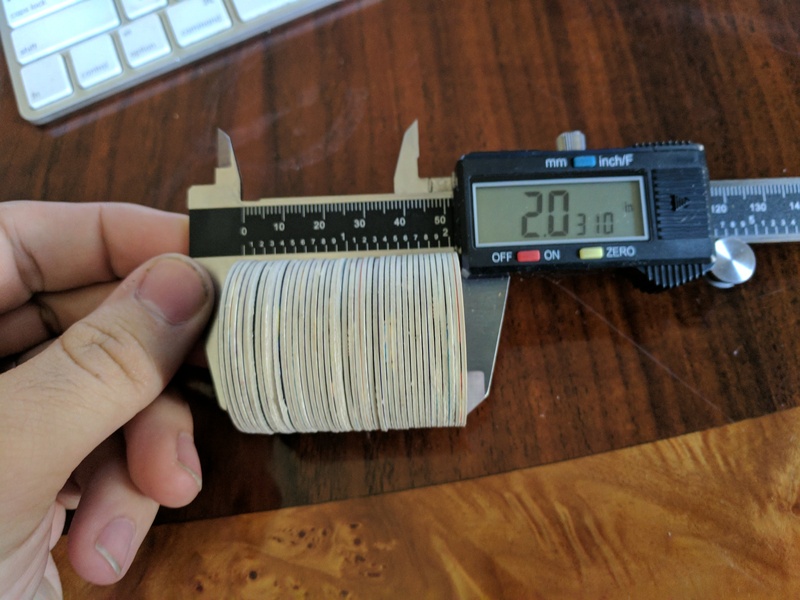 What material was the slammer you weighed made out of? It was just some sort of molded plastic. 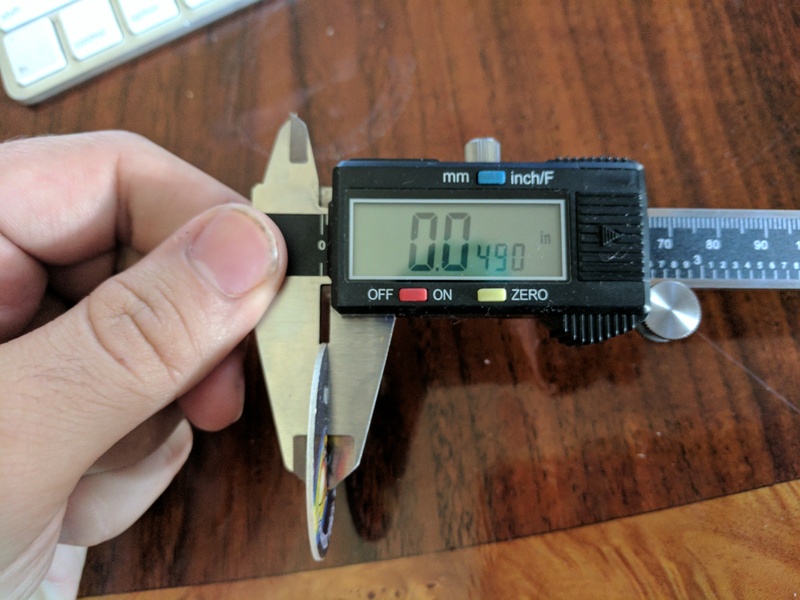 Others are aluminum, various alloys, there’s no one standard. Hello, George! I’m writing to the first post on your blog. I recently discovered your plugin for WordPress. Tell me, please, does it create an additional load on the server? Did you abandon his design? In any case, thanks for your work!